OOORRRR Death’s door is a cracking brand that make a super premium vodka! Yes welcome to the first ever issue 15 of the Spirit Spotlight, the write up of the best spirits you can find at The Dial. 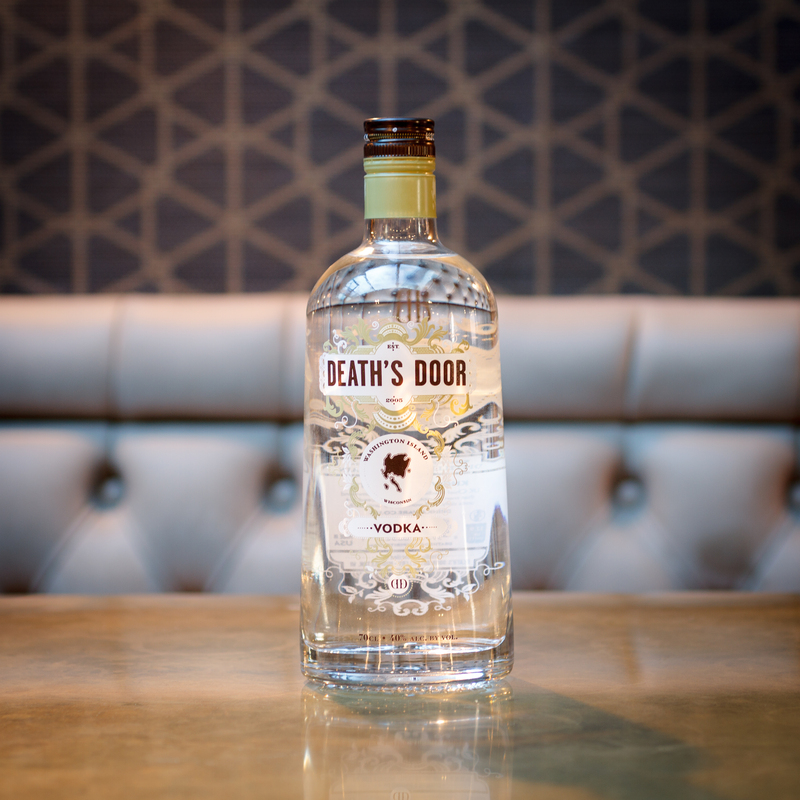 This week we are looking at a vodka by Death’s Door Spirits, which takes its name from the passageway linking Washington Island and Door County. This body of water was named by Potowatami and Winnebego tribesman and still stands today. The 22 square mile of Washington Island was once known for its potato farming. The island spuds made their way around the world and became known for great quality and flavour. Sadly in the early 70s the potato farmers lost contracts and the farmers left the island to find a livelihood elsewhere. If we travel through time to 2005 we meet two brothers, Tom and Ken Koyen, who begin planting enough seed to grow 5 acres of wheat. Originally they intended to grow wheat for use in flour. They grew hard red winter wheat, however it eventually began to be used as speciality grain for the capitals brewery, in ale and eventually for Death’s Door Spirits. What started as an experiment to reinvigorate agriculture on the island, boomed into a fully fledged business; going from five acres of land to 1000 acres, not bad. From the outset they wanted to support local agriculture and now not only do they support it, the industry is kept sustainable thanks to them thanks to partnering with a number of other farmers who produce the botanicals for their gins and whiskeys. To further the good will of the business, they started by pledging that 1% of their top line revenue would be donated to clean water initiatives. Now as they have grown, they have joined hundreds of other companies and non profits in 1% for the planet. Allowing them to localize volunteering efforts around the world. Now a vodka martini is easy to make, easy to mess up. It’s all about the details. Firstly grab a martini glass and overflow it with ice and water. You want the glass to be ice cold. Next add 50ml of Death’s door vodka to a shaker and mix in 25ml of dry vermouth. Add ice to the shaker and either stir the contents or shake them. It’s your choice depending on how much water you want to mix in with the spirits, (remember a cocktail isn’t a cocktail until it at least kisses some water), just make sure you get your mix as cold as possible. Next up empty your martini glass and double strain your cocktail into the glass. The final touch is to cut the rind off a lemon, rub it around the rim of the glass and twist it over the cocktail. Getting the zest and flavourings of the lemon to add a citrus aroma to the drink. With the devil’s details taken care of you can sip away and look cool. If all that sounds like too much you could go for a safer option that still has a delectable taste. Simply grab a tall glass full of ice, add a healthy measure of Death’s Door Vodka along with a slice of lemon, and top up with a premium tonic. We suggest going for Schweppes 1783 tonic water. Not only is it rated very highly by experts, but its long lasting bubbles and super premium natural taste ensure that it is always a perfect partner for any mixer that it accompanies. That’s all for Spirit Spotlight this month, if there are any spirits you would like us to take a closer look at, let us know in house or on any of our social media sites. Until next time, see you at the bar.